Between 2007 and 2012 when the Congress was in power the assets of their MLAs and MLAs of alliance partners increased by more than Rs 200 Crores. The Congress was voted out for rampant corruption in 2012. Since they do not seem to have learnt any lessons they do not deserve to be returned to power. The assets of Congress MLAs and those of their alliance partners, the Nationalist Congress Party, the Maharashtrawadi Gomantak Party (MGP) and the Goa Vikas Party during the tenure of the coalition government led by Congress chief minister Digambar Kamat increased by over Rs 200 crores between 2007 and 2012. 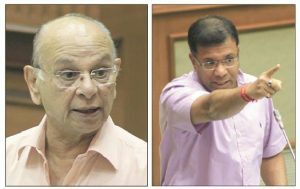 Since most Congress MLAs and their alliance partners did not have any independent source of revenue, it is presumed that this increase in assets when they were in power was due to the misuse of their positions as ministers in the Digambar Kamat cabinet and chairpersons of various corporations. Every single Congress and alliance MLA saw and huge increase in official assets declared on the affidavits they filed while contesting the elections in 2007 and 2012. The details of the increased in the assets are based on the data provided by the Association for Democratic Reform. The real increase in the assets is probably much higher, given the extent of corruption during the Digambar Kamat regime. Kamat followed the principle of loot and let loot. It was due to the disgust of the voters with the blatant corruption that the Congress was voted out of power and was able to secure only nine seats in the 2012 election. Even of the nine three of the MLAs are now planning to contest either on the BJP ticket or as independents. The highest increase in assets between 2007 and 2011 in percentage term was registered by Curtorim MLA Reginald Lourenco and Sanquelim MLA Pratap Gauns. Lourenco’s went up 1559 per cent and Gauns, elected on the Congress ticket in 2007 and has since moved to the BJP, was a close second at 1526 per cent. They were not however the biggest beneficiaries in terms of the value of assets. The percentage is high because before the elections they had little or no assets. When Lourenco stood for elections in 2007, his total assets were only Rs 7 lakhs. By 2012 even though he was not a minister, his assets increased to Rs 1.16 crores. Gauns was worth only Rs 5.5 lakhs in 2007. During his reign as MLA, his assets increased by 85 Lakhs to Rs 90 lakhs plus by 2012. In terms of the actual value of assets, the biggest beneficiaries were the MLAs connected with the mining industry. The assets of Curchorem MLA Shyam Satardekar increased from Rs 4.89 crores in 2007 to Rs 30.20 crores in 2012, a whopping increase of Rs 25 crores. Joaquim Alemao, who besides running mines for Anil Salgaonkar was also the Urban Development Minister, saw an increase in his assets from Rs 9 crores in 2007 to 31.26 crores in 2017, an increase of Rs 22 crores. A case is pending against Joaquim Alemao for illegal mining. Both father and son, Pratap Singh Rane and Vishwajit Rane, from Poriem and Valpoi constituencies also saw a huge increase in their assets. While senior Rane was the speaker in the Digambar Kamat government, Vishwajit Rane was the notorious minister for Health who filled Goa Medical College with young people from his constituency particularly to the post of attendants. Most of these people don’t any work and if they were taken to task got away by claiming they were Baba’s men. The assets of speaker Pratap Singh Rane increased from Rs 8.82 Crores in 2007 to Rs 25.87 Crores in 2012, a significant jump of Rs 17 crores. Vishwajit’s doubled from Rs 7.46 crores to Rs 15.69 crores between 2007 and 2012. The other big beneficiary was Deepak Dhavalikar, brother of present Public Works Department minister Sudhin Dhavalikar; his assets went up from a negligible Rs 1 crore to Rs 13 crores, an increase of Rs 11.98 crores. Even in terms of percentage, the fruits of misuse and abuse of power was almost 800 per cent. Relatively, the increase in the assets of his more controversial brother Ram Krishna Sudin Dhavalikar was much more modest from Rs 3 crores in 2007 to Rs 5.58 Crores in 2012. Among the other big winners is not surprisingly former Aldona MLA Dayanand Narvekar of the cricket ticket scam. He was removed from his position as president of the Goa cricket Association when the BJP returned to power. His assets galloped from Rs 4 crores in 2007 to Rs 12. 77 crores in 2012, an increase of Rs 8 crores. The other Congress MLA who has seen a mega increase in assets as is evident from all the buildings that have come up in and around old Goa is Pandurang Madkaikar. His declared assets went up by Rs 7 crores between 2007 and 2012 from 5.07 crores to Rs 12.37 crores. This represents an increase of Rs 7 crores, or 144 per cent. Velim Congress MLA Filipe Neri Rodrigues, who was sought to be kidnapped when Manohar Parrikar was chief minister registered an increase in assets of 709 per cent from just Rs 92 lakhs in 2007 to Rs 7.49 crores in 2012, an increase of Rs 6 crores. The increase in the assets of other Congress stalwarts is equally impressive. Former Power minister Aleixo Sequeira who was defeated in the 2012 elections, saw his assets hike from Rs 3.3 crores in 2007 to Rs 9. 38 crores in 2012. During his five years as minister, he managed to increase his assets by Rs 6 crores. Churchill Alemao, who was a PWD minister in the Congress government before he had to step down on corruption charges, increased his assets from Rs 5.61 crores in 2007 to Rs 11.68 crore in 2012. Controversial Mauvin Godinho, who has been accused not only of abetting power theft but also of plundering the Chicalim Panchayat, increased his assets from Rs 2.73 crores to Rs 7.96 crores. In comparison, Atanasio Monserrate at least on paper did not benefit much from being a Congress MLA. His assets, which were already at Rs 15 crores in 2007, rose to Rs 23 crores in 2012, partly because during this five-year period he was a United Goans Democratic Party MLA and not a Congress MLA. BIGGEST % INCREASE- The two MLAs who registered the highest increase in terms of % of growth of assets during the five year period were Alexio Reginald and Pratap Gauns both of the Congress party. The assets of Reginald increased from a meagre Rs 7 lakhs to Rs 1.16 Crores, an increase of 1559%.Pratap Gauns was just behind with an increase in assets from Rs 5 lakhs to Rs 90 lakhs ( 1526%). Among the big winners during the chief ministership of Digambar Kamat was Nilkanth Halankar, who was elected on the Nationalist Congress Party ticket and whose assets increased from just Rs 30 lakhs in 2007 to Rs 3 crores, an increase of 968 per cent in five years. Congress MLA from St Andre now represented by the ailing Vishnu Wagh recorded a increase from Rs 48 lakhs in 2007 to 2.32 crores in 2012. Another ‘rags to riches’ story is of Mandrem MLA Dayanad Sopte, whose assets increased from just Rs 23 lakhs to Rs 2 crore in 212 (747 per cent). 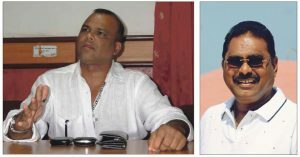 What of former chief ministers Digambar Kamat and Ravi Naik? Kamat’s assets doubled between 2007 and 2012 from Rs 3.23 crores to Rs 6.21 crores, an increase of only 92 per cent. Naik, who has been accused of being the patron of the drug trade, did much better with an increase of Rs 4.69 crores from Rs 2.40 crores in 2007 to Rs 7.09 crores in 2012. Industrial Development Corporation looter Chandrakanth Kavlekar benefited from the illegal allotment of plots to the extent of Rs 4 crores – his assets rose from Rs 1.31 crores to Rs 5.31 crores between 2007 and 2012. The colourful Mickey Pacheco who cannot control his temper or his libido saw an increase in his assets from Rs 1.60 crores to Rs 5.96 crores between 2007 and 2012. Former Calangute MLA Agnelo Fernandes, charged multiple times with corruption, doubled his assets from Rs 5 crores to Rs 10 crores. The Pernem MLA added Rs 1 crore to his assets from Rs 81 lakhs to Rs 1.86 crores. The average increase of the assets of Congress MLAs between 2007 to 2011 was 171 per cent. The average assets of the 21 Congress MLAs elected in 2007 showed an increase from Rs 3 crores to Rs 10 crores between 2007 and 2012. In contrast, the increase in assets of the two MGP MLAs showed an increase of 329 per cent, from Rs 2 crores in 2007 to Rs 9 crores in 2012. The assets of NCP, which was an alliance partner, increased 667 per cent, from just Rs 47 lakhs to Rs 3.64 crores and that of the GVP from Rs 1 crore to Rs 5 crore (271 per cent). The average increase of all MLAs was 200 per cent. In politics, everyone is a winner and the rate of return is much higher than in any business except matkas and casinos. Out of the 40 MLAs elected to the Legislative Assembly in 2012, 37 are crorepathis as compare to 22 in 2007. There has been an increase of 68 per cent in the number of crorepathis MLAs. The chances of winning an election in Goa depend on how many crores you are worth. If the candidate is worth Rs 5 crores or more, the chances of his winning are 37 per cent. If his/her assets are between Rs 1-5 crores, the chances are 28 per cent. If the assets are between Rs 20 lakhs and Rs 1 crore, the chances of winning fall sharply to six per cent. Candidates who have less than Rs 22 lakhs have no chance of winning. Of the winners in 2012, 15 MLAs accounting for 38 per cent had assets of Rs 9 crores or more. Of the remaining 18, 45 per cent had assets of more than Rs 6 crores. Only four MLAs had assets of Rs 2 crores. The chances of winning are directly proportionate to how many crores the candidates has and how much he is willing to spend on bribing the voter.